Visa Europe, la Caixa and Telefónica have announced the completion of their mobile payment pilot in the Barcelona town of Sitges, according to telefonica. The positive reaction to the pilot has prompted the companies to keep their mobile payments infrastructure in Sitges indefinitely. According to the companies, mobile payment could be rolled out “massively” in Spain in the next three to five years. The “Mobile Shopping Sitges 2010” initiative, which lasted six months, involved shopping via mobile phone equipped with NFC technology. 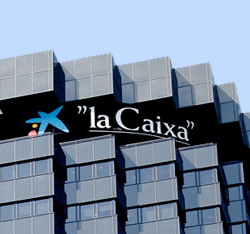 Some 1,500 individuals and 500 merchant customers of la Caixa and Telefónica participated, making the project the first of its kind to be carried out in a real scenario in Europe with a large number of participants, according to the companies. Of customers participating, 90% used their phones to make payments, while 80% of merchants in the project carried out transactions. Customers using the system performed 30% more e-transactions, with a 23% increase in average purchase per user with their card. 90% of users said they would continue to use their mobile phone for normal payment. Users mostly made micro-payments with their phones. 60% of the purchases were for amounts equal to or less than €20, and 75% were made during working days. Mobile shoppers made the largest number of purchases at supermarkets (57%) and restaurants (14%). The average age of customers using their mobile phones to pay for their purchases was 46. According to the companies, the majority of customers considered the system to be quick and easy, giving a score for mobile payment of over 8 points. In addition, 85% of users said they considered the protocols for operating with the NFC system to be sufficiently secure.